The Bureau of Immigration (BI) announced that a total of 148,387 foreign nationals reported in person to their offices starting January 1 until March 2 of this year for the annual reporting of foreigners holding valid immigrant or non-immigrant visas in the Philippines. Provided under the 1950 Alien Registration Act, the annual report requires foreigners registered with the BI to report in person to the main office in Intramuros, Manila or any other authorized immigration office within the first 60 days of the year. Non-compliance will result in fines or cancellation of the registration. BI-registered aliens are resident foreign nationals who have been issued immigrant or non-immigrant visas and are holders of the Alien Certificate of Registration Identity Card (ACR I-Card). Those below 14 years old are exempted from personal appearance and their parent or guardian shall make the report on their behalf. BI Alien Registration Division Chief Jose Carlitos Licas said this year’s annual reportees were higher compared to the 142,319 foreigners who reported last year. Majority of reportees consisted of the following nationalities: 56,015 Chinese nationals, 26,533 Indians, 10,566 Americans, 8,557 Taiwanese, and 8,157 South Koreans. A total of 59,339 foreigners were reported to be holders of working visas. Licas also announced that those who were abroad during the reporting period are still permitted to file within 30 days from their return to the Philippines, provided that they hold valid re-entry permits. 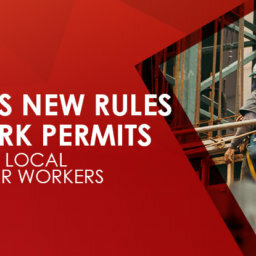 The Philippine Bureau of Immigration (BI) has imposed new rules on the issuance of Special Work Permits (SWP) and Provisional Work Permits (PWP) to foreigners seeking to gain employment in blue-collar jobs in the Philippines. 2019 © Visas Philippines. All rights reserved.